IHate is a project from death metal veteran Chris Barnes. I don’t think Six feet Under is going by the wayside, IHate is a new project of violent death metal that seems to me to be a bit more brutal than the groovy Six Feet Under tunes we have come to know over the years. Check it out for yourself. Just a b it of a disclaimer…this video graphically represents death metal nicely. Six Feet Under have been in the business a long time. Their first album, Haunted, was released in 1995 and for 18 years they have been creating Death metal with an emphasis on groove and mid-tempo based songs. In addition to their 10 studio albums, they have also released four compilation albums, an extended play, and three DVDs. They have been busy, but does that mean they have watered themselves down? In short, yes. Even as a fan, I felt many of their most recent released started to blend together and lacked individuality. If I took all of my favorite songs from them since 2003 and put them on a CD mix, I probably couldn’t tell you what album they came from. I never listened to Death Rituals, their 2008 studio album. New Six Feet Under? Already? The Earth has yet to make one complete revolution around the sun since Six Feet Under’s last album, Undead. Now their next session of Death metal groove is set for release on March 19th (North America) and slightly earlier in other parts of the world. Not sure what prompted the short timeframe between albums; perhaps it has to do with yet more lineup changes. Undead is now being followed up with Unborn and after a couple listens to their first single…I dig it. Check out Zombie Blood Curse below and let me know how you feel about it. Just when I thought 2011 was a banner year for metal, I think 2012 might be equal to or better in terms of both quality music and sheer volume of albums released. It surely was not a dull moment if you ask me; it seemed like I was listening to at least a couple new albums each week. Interestingly, I can probably look at half my list and tell you that some of these albums, I had no idea were coming. They completely snuck on me or I never expected them like Kreator…a band I nearly forgot about came out with a killer album. The band at #15 I never knew existed until just a few weeks ago and I am still impressed with them. There are definitely some surprises on my list this year. Some of these bands have been around for years and I am only now getting into them. I hope you had a great 2012 in metal! Here are my Top 15 albums of 2012. 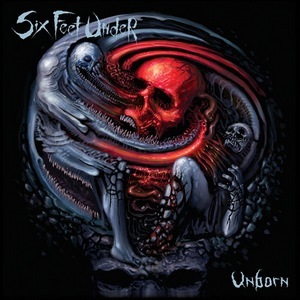 If there were even a band to emphasize death and dying, Six Feet Under would be one of…well, many. Today’s song of the countdown is Doomsday and comes off the album Commandment released in 2007. This is one of several songs Six Feet Under centers around zombies…they seem to be popular these days. I suppose the Mayans could not possibly predict a zombie infestation, but if that’s the case zombies move pretty slowly which increases my odds of survival. I hope you enjoy this fine Monday and Six Feet Under kicking off our last five days till doomsday. Lately, I have been playing this insanely addicting game called Plants Vs. Zombies. You can play it on several formats; Xbox 360, Nintendo DS, iPad App, etc., it is easy to find. The game boils down to planting enough plants to keep the zombies at bay and prevent them from entering your house. It’s simple and probably one of the best App games I own. Therefore, I am dedicating this week’s video to none other than zombies. Six Feet Under has recorded more than one zombie-related song…this one is a fan video put to a movie. If you haven’t played Plants Vs. Zombies, it is well worth your time and if you like metal, but not games then simply enjoy the Video of the Week – Revenge of the Zombie. Continuing on with our Top 100 list at The History of Metal, I bring you my next five with a little bit of justification. If you haven’t checked out The History of Metal or THOM as we call it, please do it’s a cool forum to talk about and share metal. 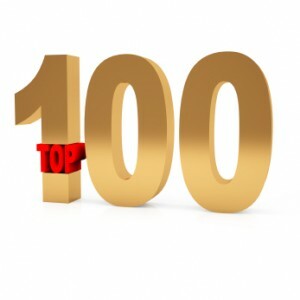 The page creator does a great job as keeping topics fresh and he also takes the time to pose challenges to the group; Top 100 Albumsbeing one of them. I think the best part of this whole challenge besides getting to see everyone else’s choices is to reminisce about why I love these albums so much. It gets me listening to some of these I haven’t heard in a while. Not to mention, seeing everyone elses favorites gets me to explore some things I haven’t heard yet. Enjoy! 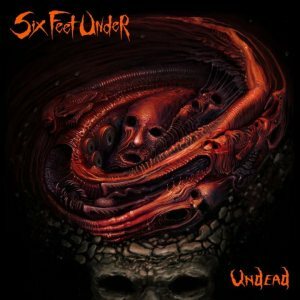 If it hadn’t been for a few recent lineup changes, I probably wouldn’t have been that excited about Six Feet Under’s new album, Undead. I would have bought whatever they released as the dedicated fan I am, though it probably would have been more of the same repetitive groove-driven riffs, deep growls, and occasional double-bass I could count on. Enter both (former) Chimaira guitarists Rob Arnold and Matt DeVries and now I am most interested (note – DeVries on bass already left and was replaced by Jeff Hughell). Undead is the album we have all wanted to hear from Barnes and Co. Why? It is Death metal just like the old days of the first three SFU albums – more or less, which is a good thing. However, Arnold being in the band doesn’t necessarily mean the introduction of longer and more melodic guitar solos. In fact, most of the songs barely scratch the 3-minute surface. If you follow death metal then you know the groovy grinding sounds of Six Feet Under will be upon us shortly. Excited? For now, they have released this new track for your listening pleasure – well worth for our Song of the Week. 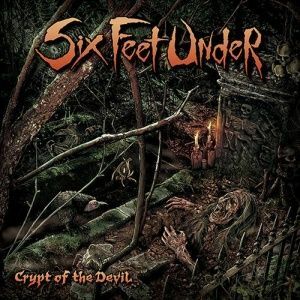 I have to say…this is the Six Feet Under I have been waiting for! This is much faster than what we have been hearing from Barnes and Co. over the years. I think the addition of (former Chimaira guitarist) Rob Arnold kicked SFU into gear. So far, this new music is quite promising. Click here to take you away to where their song is patiently waiting to be heard.